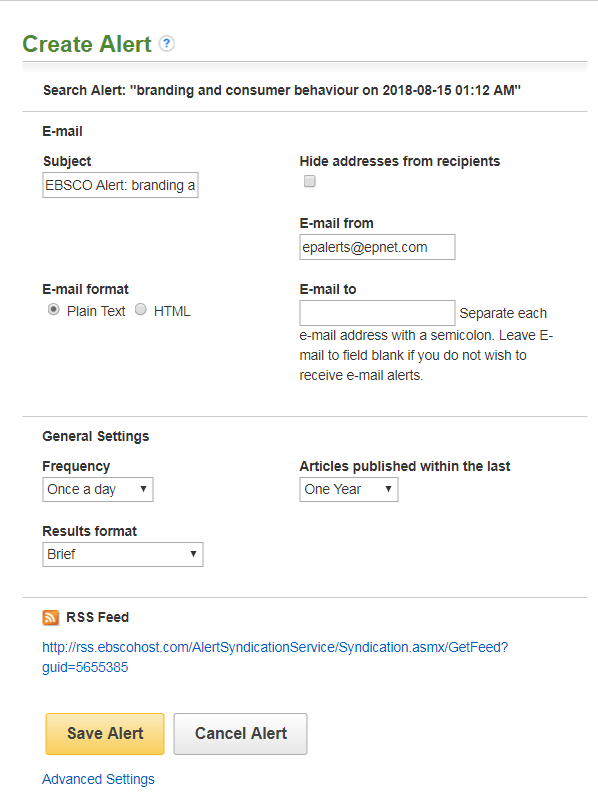 Another useful feature of different databases includes the ability to set up “search alerts”, which allows you to receive alerts of new articles that meet your search criteria. This is an excellent way to keep up-to-date with your research. See the Library’s guide to ‘Staying current with your research‘ for more details and examples.